All-steel cabinet with follower blocks. Drawers have combination label holders and pulls. Units are stackable for increased storage. Non-mar feet won't slip. Each drawer holds up to 1,500 cards. 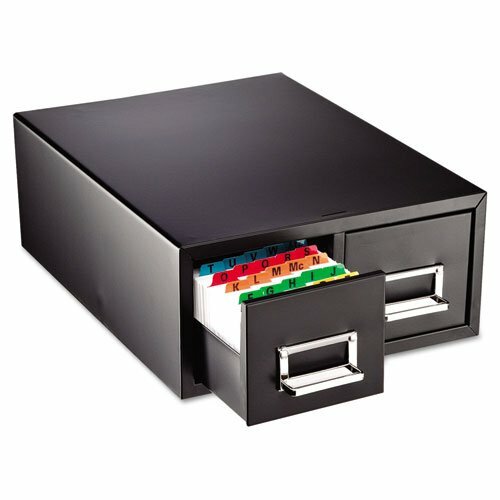 Card Holder Type: Card File With Pull Drawer; Card Capacity: 3,000; For Card Size: 4" x 6"; Color(s): Black.